A little piece of nature around your home will give you all the space and privacy you need. 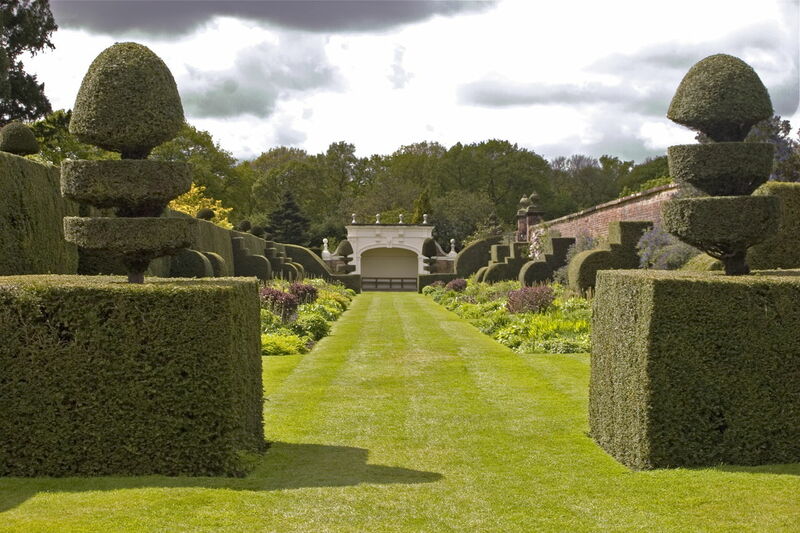 Privacy hedges are a green way to draw boundaries. Want to change those wooden and wired fences that surround your house? How about getting more close to nature while you build a privacy fencing around? Well, it sounds green and cool. Privacy hedges give you the security of a fence, they will keep your prying neighbors at bay. They also keep the surrounding noises, wind, and stray animals from loitering into your garden. It is more convenient for you and your neighbors (not the intrusive ones though). Now you don't have to opt for massive fences as guards. Plush green plants can be your creative option. They can be installed with effective designing to create stunning landscaping in the backyard, and near the pool or the patio. Some important factors to keep in mind regarding privacy hedges, is that the shrub you choose should have dense foliage, and have a certain height to ensure your privacy. You may also want to consider communicating with the neighbors and your property owner, if necessary, before planting them. Also called Thuja, these plants can grow in any soil condition, and are a favorite choice for thick hedges. They are easy to trim, are pest resistant, and are fast growing in a pyramidal shape. Also known as Taxus baccata, it grows at a fast pace and dense rate. It grows in the sun and shade as well, and also comes in many varieties to choose from. Pruning and trimming will help to keep them dense and in proper height. The needle foliage and the bright red berries give a soft and blush appeal to this plant. This plant adores patio planting and the front-walk. 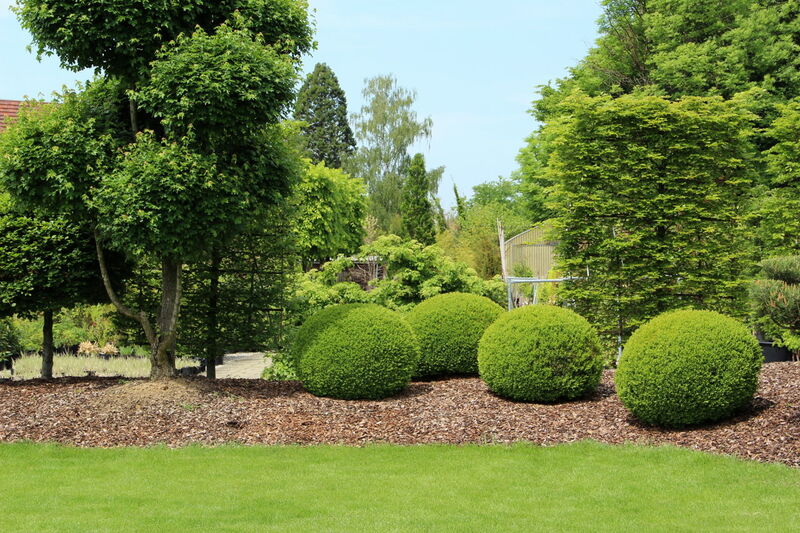 This is a hybrid of the English Boxwood and Korean Boxwood, and is an evergreen shrub. With low maintenance and an easy growth in the sun and shade, this may be one option to keep your hedges evergreen. 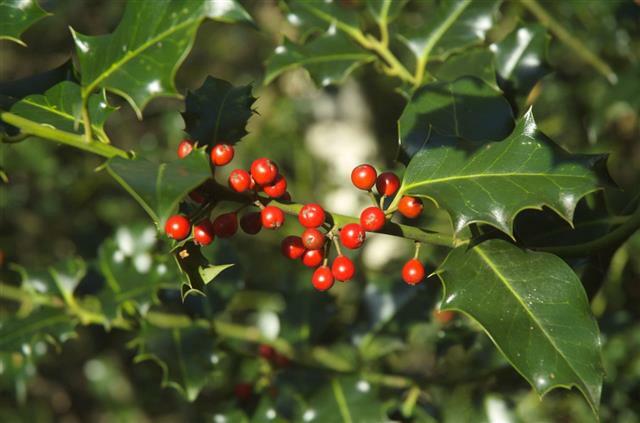 Dense in nature with attractive glossy green leaves, the holly has a soft and flexible foliage that has flowers in spring and berries in winter. This also has low maintenance and may also grow well without pruning. A little sunlight and any type of soil is suitable for this shrub. Also known as Pyracantha coccinea, this shrub has dark green leaves with bright berries that form clusters, and give you an excellent visual appeal. They are easy to grow and can be best grown as privacy hedges as they have thorns that are best for safety, and the free standing plant can be easily trimmed for a privacy hedge. Also known as Euonymus Alatus, this deciduous shrub has a green foliage covered in fresh yellow spring flowers. The full sun will give this bush the best fall red color. Partial shade and heavy and loamy soil will keep this shrub thriving. The original name is Nandina. The stem of this shrub resembles the bamboo, hence the name. It gives white and pinkish blossoms in terminal clusters with a plush red foliage in the fall, and red berries in winter. They make a strong privacy hedge. Privet, specially the Gold Privet, is a semi-evergreen and low maintenance shrub. They grow naturally and need not be pruned or shaped. The foliage shines in bright yellow color in the summer. It adapts to most soil conditions and is best grown in full sun. This plant is a favorite for its attractive clusters of flowers and a mesmerizing fragrance. It is a common hedge plant and also the most popular for its breathtaking lavender blossoms. They grow best in full sun and are the hardiest of plants. They grow well in length and width also. These were some of the privacy hedges that are popular and can adore your landscape. Here is a list of some fast growing hedges. An attractive hedge will give you a balance of green wonders and the perfect space for privacy... truly a home that is in the lap of nature!